When NARS opened their flagship boutique in New York City, the brand chose to set up shop in the West Village — specifically, 413 Bleecker Street. 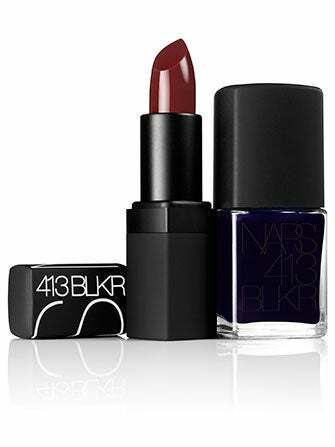 As an homage to these NYC roots, NARS pays tribute to where it all began with their 413 BLKR collection for fall. The two newest additions, however, are what's really got us buzzing. The 413 BLKR Lipstick is a deep rose-brown shade, highly pigmented with a semi-matte finish. In other words, it's the perfect autumn lip. Meanwhile, the 413 BLKR Nail Polish is a bold midnight blue that's ideal for all those transitional wardrobe items we've started to slowly pull out of our closets. The 413 BLKR collection is available August 1 exclusively at NARS boutiques, and since the lipstick and nail polish retail for $26 and $19, respectively, you better believe we're scooping up both for our fall makeup stash.